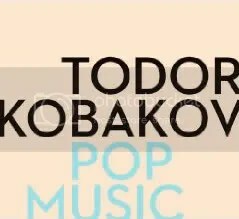 While you may not recognize the name, if you’re familiar with the bands on CMJ’s charts, there’s a good chance you’ve heard the work of Todor Kobakov already. Born in Bulgaria, Kobakov emigrated to Canada when he was sixteen with many of his family members (his mother stayed in Bulgaria). Currently based out of Toronto, Kobakov has had his string arrangements featured on the second album by Stars, Set Yourself On Fire, and has played keys for Luke Doucet, Emily Haines and the Soft Skeleton, Small Sins, and many others. Pop Music is his solo debut and showcases his chillingly beautiful classical piano compositions. The album is instrumental save for two songs, “Carpe Diem,” which features the vocals of Emily Haines, and “Loving Hands,” on which Tunde Adebimpe of TV on the Radio provides vocals. If you enjoy piano, there’s a very good chance you will enjoy this album. Kobakov is a very talented musician and this release definitely demonstrates that. I’ve heard this album and agree 100% with this review. The album is stunningly beautiful – from start to end. Nice to see you review a ‘not so obvious’ album such as Pop Music. I’m glad you agree! It’s a great album – I think I listened to it four or five times in a row one night while painting. Hopefully the fact that Emily Haines and Tunde provide vocals will help Mr. Kobakov to get his music out to more people who might not generally think to pick this one up. Thanks for reading! This entry was posted on October 11, 2009 at 12:00 pm and filed under TheSlacker. You can follow any responses to this entry through the RSS feed.